Summer is coming…which means it’s the perfect time to plan your Spanish Club trip to a foreign country! 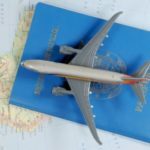 As an officer of your club, you are definitely a pro at planning things by now, but that doesn’t mean that planning a group trip to a Spanish speaking country isn’t a daunting task. Where should you start? Where should you go? What should be on your checklist? This Guide will help you in planning that fun and educational summer trip that your club members will enjoy. You can even invite other Spanish Club members from different schools to grow your numbers for the trip. As students, it is understandable that you are on a budget, so getting a travel company to plan your trip might not be most ideal. One of the things you’ll learn when planning a trip is that the more you are in the group, the more affordable the trip will be since you can share accommodations and transportation. Plus, planning things on your own will save your group a lot of money as well. So let’s get started! It is more difficult to plan a trip during the school year since you can’t miss class. Summer is definitely a good time of the year since you have plenty of time for the trip depending on how long you want it to be. But of course there are also week-long school vacations throughout the year like Spring Break which you may want to plan around. Get the Club’s consensus to work around everyone’s schedule. Another thing to consider is that planning your trip during summer allows for more flexibility in dates. This way you can really search for reasonably priced tickets and accommodations in comparison to if you would need to travel only on certain dates. As mentioned earlier, if you plan the trip during summer, your trip can last for more than a week. 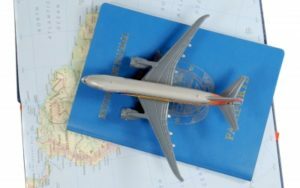 With a lot of time, you can even consider traveling to a couple of Spanish-speaking countries that are next to each other like Costa Rica and Panama or Columbia and Venezuela. The amount of activities you can do in a place will also determine how long your trip should be. You don’t want to stay too long in a place when there’s nothing for your group to do, especially since it is supposed to be an educational trip. Do consider that the longer your trip will be and the more places you will visit means that you will be spending more as well. So, when thinking about the length of your trip, also look into the costs. If you are able to plan a trip that is affordable for everyone, then more people can definitely go. How many will be traveling with the group? As early as the planning stages, you will need to estimate your headcount for the trip. This will allow you to properly cost for everything. Decide if you will have a minimum number of students joining the trip for you to continue with it. Some group trips have a minimum of 15 or 20 for it to push through. This is because for a trip to be a certain cost per person, you will need to have a minimum number of people to join. Once you have settled on your top three choices for your trip, it is time for you to do your research. Check various airline sites for airfare costs. Since you are travelling as a group, you can even contact each airline and ask if they have a group rate for tickets so that you can save on cost. Keep in mind as well that the cost of the airfare will depend on when you travel so request the airline to provide you options for travel dates with the cheapest possible fares. Next you will need to research for accommodations. Check travel sites like Expedia, Booking.com and Airbnb. Consider places with rooms that hold four people so that you can share and save on costs. If you opt for Airbnb, you might even be able to find a house that holds the entire group, which will add on to your savings. If you end up with a hotel, try to opt for one that provides free breakfast with the room so that you don’t have to worry about the first meal for the day. After you’ve pinned down costs for airfare and accommodations you need to work on your itinerary. Will you be visiting museums? Historical sites? Mercados? Do your search depending on the country you choose. Consider activities that will help you learn more about the language and the culture. The amount of activities you can do should also be one of the deciding factors on where you will go. Once you have the activities listed down, find out the costs of each one so that you can include in your costing. You also have to cost for how you’ll be getting around. Since you are a group, you may want to check for van or mini-bus rentals. The benefit of this is that you can get to all the places you want to go to, it will be more convenient for your group and you’ll definitely save more time. Taking public transportation with a group can be tricky and may not be the most ideal. Plus not all places have good public transportation. Lastly, you’ll need to check on average cost of food per meal and factor this into your cost. Eating the local cuisine is a treat on its own and will definitely add more life to the trip. Consider a food tour or checking for food festivals. 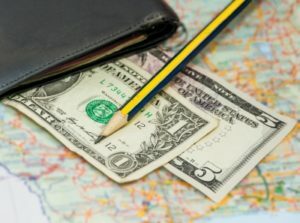 Now that you have the different costs for the components of your trip for the top 3 countries you picked out, determine which would be the most value for your money where you will gain a lot of learning. It is also important to list down the benefits of going on this trip to help you and Club members convince your parents why you should be allowed to go. You might even want to check with your Spanish Club Advisor if he or she would consider chaperoning your trip. Once you have that sorted, start gathering more people to join your trip and have a summer of fun! 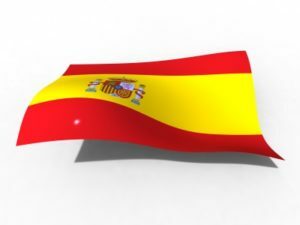 « Spanish Club Activities–Plan the BEST YEAR EVER!